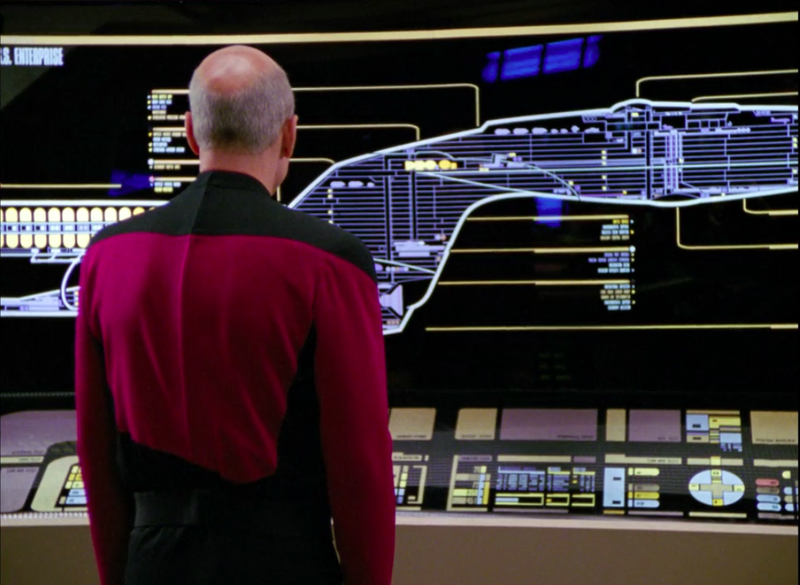 The first image is an actual screen shot that I took from the episode “Brothers.” You can see the schematic that Picard is gazing at, and there is definitely an airplane in there, as well as a car! The second picture is borrowed from this blog, and I cannot verify its authenticity. But you can see more details, and the blogger has even labeled the car “Porsche.” I can see that, but I see it as more of a generic car shape.